If you’ve been working for months getting your website ready to launch, it’s time to consider a new strategy. In this article you will discover how to launch a website with what is known in the web industry as a “splash page,” and in less than a week have your site live, ready for visitors. You can finally get your business and brand online, providing an instant resource for your ideal clients who are searching for you RIGHT NOW. Your website homepage is cluttered. I don’t even need to look at your website to know that it’s cluttered. 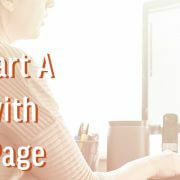 You may think that this doesn’t apply to you because your website home page is very simple. It’s true that your website may not be cluttered with content but is it cluttered with competing ideas? 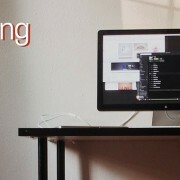 What should I have on my website homepage? Most online entrepreneurs and individuals looking to make online income use their website to try and communicate everything. Either they will add to their latest idea or shiny object to the homepage or they will replace the last shiny object or idea… never giving any thought whether or now their content is actually helping them achieve their mission. By putting everything on the homepage, you are compensating for a lack of strategy of getting the right information in front of the right eyes.Click To Tweet. 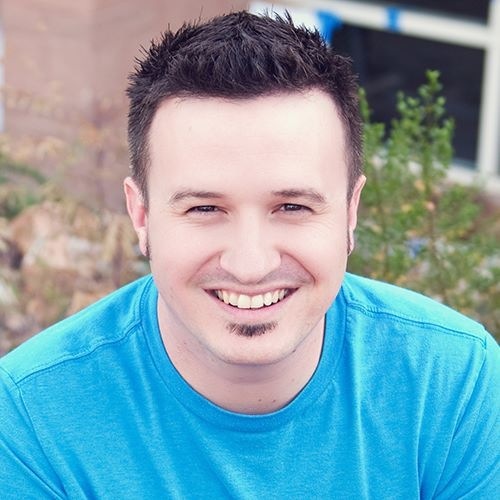 Are You Making the #1 Mistake On Your Homepage? Your website audience is different than your social media audience and different than your email audience. The #1 mistake made on a website homepage is posting content that is not mission critical and assuming that the information is relevant to everyone arriving on your site. If you haven’t asked “What should be on my website homepage?” now is a good time to start. In this video I go into greater detail covering the issue with throwing everything on your homepage and give a starting point strategy for how to immediately transform your homepage strategy and tips on how to optimize it going forward. https://www.daveshrein.com/wp-content/uploads/2016/08/website-mistake-1000x380.jpg 380 1000 Dave Shrein https://www.daveshrein.com/wp-content/uploads/2016/06/dave-shrein-online-marketing-training.png Dave Shrein2016-08-29 05:44:462016-08-29 11:00:55The #1 Thing You Want on "My Website Homepage"
UPDATED AUGUST 27, 2016 – Social Warfare released the 2.0 version of the plugin and it is packed full of new features, updated options and faster than ever. This is a demonstration of version 2.0. Are you using a WordPress website? Are you looking for a social media plugin that gives you a gorgeous social share button that lets you pick which social networks to display and shows how many times your article has been shared? Have you downloaded and deleted multiple social share button plugins, always frustrated by the hideous appearance, lack of options, limited customizations and clunky code that slows down your website? In this article you will learn about the Social Warfare 2.0 Plugin for WordPress, the options it provides each user, the many customizations available and how you can integrate this gorgeous social share button plugin into your website immediately. If you use self-hosted WordPress, the Social Warfare 2.0 Plugin allows you to control how your social sharing options appear on your website and how your website content appears on individual social media networks like Facebook and Twitter. Social Warfare is designed with your brand in mind, giving you visual customizations once made only available to companies with big web development budgets who could create their own code to generate a social share button that suits their specific tastes. Part of the problem you have encountered with other social sharing buttons is they are ugly. Whoever developed the buttons had someone other than you in mind. Social Warfare gives you a core rectangular design with six variations of that core shape. Social Warfare 2.0 for WordPress gives you six variations of the core rectangular design. Spend any time trying to find social share buttons and you’ll either find one of two options (never both). You’ll find a button shape, size and style you like without the ability to brand them with your colors or you’ll find one that you can brand with your colors but are unable to control the shape, size and style. As we saw above, you have control over the variations of the core rectangular design. Social Warfare also gives you the ability to change the colors of the individual buttons. The only item not demonstrated in the gif above is the custom colors. If the none of the preloaded options suit your taste, you can style the buttons with a color that matches your website or your brand. Check out the gif below. A beautiful social share button is important but you also will want a wide variety of networks integrated into the button. The team behind Social Warfare gets it and they have added a share button for every major social network you could want – and some you’ve probably never heard of. At the time of this writing Social Warfare gives you a selection of 15 different networks and setting your default set of buttons and then ordering them in the order you want them to appear is easier than ever. It’s a drag and drop action that will be familiar for anyone. Check out the gif below. With 15 sharing networks to choose from and a simple drag and drop interface, you can set your network sharing buttons in a matter of seconds. There are plenty of other social share button plugins that will give you the same variety of sharing option and along with it a clunky and time consuming configuration process. Not only can you easily choose and order your default set of buttons, you can create custom configurations for a specific page. Say you’re doing an invitation to a webinar and you want to use social warfare buttons – but you only want the Facebook and Twitter share buttons available. Social Warfare allows you to use the visual editor on any page or post to add this special configuration. Check out the screen shot below. You can type the name of the individual networks separated by comma. Once you’ve added this special shortcode, you proceed down to the Social Warfare Custom Options and turn off the default placement and the only buttons that will now appear on this page are the ones in your special configuration. You can turn off the Social Warfare buttons on any page, regardless of your master settings. The best way to become acquainted with the display options in Social Warfare is to actually interact with them. There are additional display options including share counts, built-in Pinterest button (which I turn off, I don’t like it) along with the option to turn on Twitter Cards. 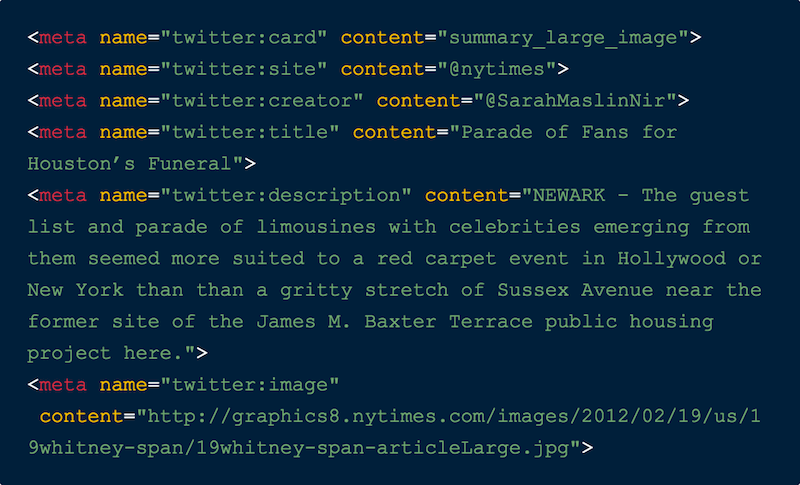 When Twitter Cards launched the only way to get them to appear for your website was to configure this code on every page. It wasn’t fun. Social Warfare has the code for Twitter Cards built right into the software and the same meta descriptions that you write for Facebook will be used for Twitter as well. From someone who was doing everything manually, this is awesome! The Social Media Title and Social Media Description fields (referenced in the previous paragraph) allow you to control what text appears when you share your content on social media. Look at the graphic below. You can designate what text you want to appear in the social media generated preview using the Social Warfare Plugin. In addition to title and description, Social Warfare gives you a place to upload the image you want to associated with your shared link. You can see this one with a picture of me and Mark Shaw and our video interview about deleting your social media accounts. There are several other amazing features in Social Warfare and those additional features are covered in the video available at the top of the article. That video below covers other features such as Bit.ly integration, frame buster, analytic tracking through UTM, share recovery and social media profile integration. Each of these additional features is the icing on top of this perfect social sharing plugin and the advanced functionality not found in any other plugin. Social Warfare is available to buy, download and install on any self-hosted WordPress blog and you can purchase your license by clicking here. If you are getting caught up on the fact that Social Warfare is not free allow me to help put the cost of the license into perspective for you. Consider how much your time is worth. Would you spend $116 for a social sharing plugin? Most likely not however, that’s exactly what you do when you spend 3-4 hours searching, downloading, configuring, deleting and searching for another social share button plugin. I know this to be true because it has been my experience. Since purchasing Social Warfare nearly two years ago I haven’t even looked at any additional social share button plugins because there is no need. Get your copy of Social Warfare, put an end to the endless cycle of searching for new social share button plugins and outfit your blog with a pro social share button that will satisfy your every requirement. Get Social Warfare for WordPress by clicking here. *Links provided are affiliate links which, at no additional cost to you, provides me a small commission when you make a purchase. That said, I would promote this plugin commission or not and I use it on my websites and recommend it for nearly all of my clients. Your website is often relegated from communication resource to dumping ground for information you think is important or content you are excited about. This problem arises when you do not contemplate what eyes are looking at your website. Your website audience is different than your social media audience and your social media audience is different than your email audience. However, even identifying eyes is not enough. There is one more step you need to take into consideration. My .com is Taken, What Should I Do for A Domain Name? You sweat, labor and slave over trying to find the perfect business name and when you finally land on something you feel good about one look at Godaddy leaves you as frustrated as you were at the start. That domain name is not available. What do you do next? Can you use a different extension? Does it have to be a .com domain? 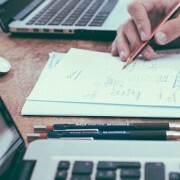 Here are a few things you need to be thinking about when it comes to your domain name for your business website. https://www.daveshrein.com/wp-content/uploads/2016/04/perfect-domain-name-1000x380.jpg 380 1000 Dave Shrein https://www.daveshrein.com/wp-content/uploads/2016/06/dave-shrein-online-marketing-training.png Dave Shrein2016-04-17 11:52:052017-02-10 12:42:38My .com is Taken, What Should I Do for A Domain Name? You have big dreams for your website and yet your budget doesn’t match your dreams. While it is always best to work with a professional who understands how the web communicates in today’s world of B2B and B2C, you do have options even in the midst of lack of funds. 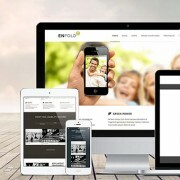 The Enfold Theme for WordPress by Kriesi provides web designers and novices alike with a beautiful set of tools to build a website that can quickly become the envy of peers. Watch me as I show you around the Enfold Theme along with what is possible using Enfolds Avia Advanced Layout Editor. There are two different types of hosting… Domain hosting and web hosting. 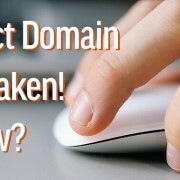 Domain hosting is securing your .com or other domain. Web hosting is securing storage space on a server to host all your web files and point your domain to. What you need to know about each is not complicated or “involved” and it’s all covered in this post. You may be a part of an entrepreneur network and if you are you know that the most commonly talked about topic is, “how do I monetize my passion?” All sorts of non-sense creeps in our brains when we start thinking about monetizing our passion.